Tickets are $8. Purchase at the box office (cash or credit) Friday 9/18, 6pm - 10:00pm, Saturday 9/19 12pm - 10:30pm, Sunday 9/20, 12pm - 2pm. A sophisticated Manhattan loft party takes a deviant turn after an uninvited guest shows up, pestering nearly everyone. Bloody Mary is a super twisted comedy about shaking up the social norms, gender fluidity and "over-sharing." Starring Lauren Anne Miller (For a Good Time Call), Trace Lysette (Transparent) & Magan Wiles. Hazel Annikki Savolainen, Australia, Short, 10:00, Brooklyn Premiere! When a young, chronic masturbator threatens to castrate herself, she is sent to an unorthodox therapist. 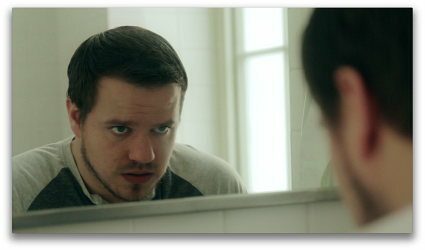 Ryan Rivard, Astoria, NY, Short, 9:30, World Premiere! 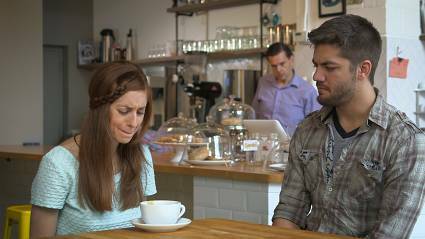 When James is refused to-go service at his local coffee shop, he vents his frustrations on Yelp. Little did he know, those frustrations would cause a date with a girl he met online to take an unexpected turn. Geoffrey Celis, Staten Island, NY, Short, 19:35, Brooklyn Premiere! Mark O'Brien, Staten island, NY, Short, 13:47, World Premiere! Barry, a writer suffering from undifferentiated schizophrenia, struggles with his demons and the people in his life following a brush with fame and success. Pete's absurdly desperate plan to win over his dream girl is everyone else's nightmare in this tale of forbidden love and misguided affection. Debra Markowitz, NY, Short, 14:19, Brooklyn Premiere!